Is Pepsi becoming the new Redbull? As a Brand matures, they begin to diversify. The brand architecture becomes less about corporate colors and identity, and more about a brand experience and lifestyle. Pepsi has been embracing this strategy with its “Max” line, proudly encouraging fans to carpe diem. Damien Walters has been a youtube sensation for a few years now. Below is his 2011 showreel. He has bee a figurehead in the freerunning and pakour community for quite some time. In addition to seeing Pepsi continue to evolve as a brand, the other thing worth mentioning here is how they are using celebrity talent for brand transference. Youtube is rapidly becoming a place for talent discovery and recruitment. As the web has given a voice to everyman, talent and quality content is accessible to all. Some brands like Pepsi have moved into content creation using youtube sensations to draw a larger buzz on social media. I think this campaign is a win-win. Damien Walters gets to showcase his amazing talent to a larger audience, and Pepsi continues to expand its social capital to a younger generation with an exciting new ad campaign. This campaign speaks to the future of brands becoming their own syndication channels of user curated talent. 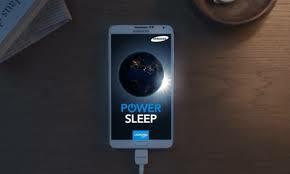 Samsung introduces a new app to allow for users to donate mobile processing power to research Universities. As people continue to realize that phones are mobile computers, I imagine that more and more developers will realize the potential of the processing power of phones and the full extent of how sensors and geo location data can empower research and larger solutions. The mobile phone has always been a consumer level intimate object. What happens when people start viewing mobile as a distributed grid / network. The possibilities could be really great. As someone who has worked in the hospitality industry, non-profit, and private industry, I find that people tend to hide their past if they have worked in the industry. I don’t think its anything to be embarrassed about – in fact, I tend to think the opposite. So if you see a resume with someone who had to wait tables, or bartend, give them a second look. Some of the most valuable life skills I have learned came from my days behind the bar. This is my small head nod to that industry and a small thank you for the people still out there. Special thanks to the Pour Boys & The Professional Bartending School of Arlington VA.
You learn a certain amount of respect and patience for people when you work customer service. This applies to any other job that involves people skills. After being yelled at or completely ignored, I tend to make sure to say hello to everyone I meet or work with. It goes a long way to recognize a person in the midst of doing any type of business. I am always confident that someone with customer service background understands how customers want to be treated, and how I personally want to be treated as well. They are often really good team players. You have to do everything when you work in service. There is never a down moment. You clean, cook, make drinks, and entertain. One of the first things you learn in bar-tending for efficiency is to use two hands. Double the service means, more tips, etc. You end up working smarter because its in your own self interest. Each bartender is in charge of building their customer loyalty base so that they can bring in a few extra bucks every night of the week. They are self starters and responsible. If my till ( cash drawer ) did not match up at the end of the night, I was responsible. Lastly on this point, they do awesome under pressure. I remember when I started my design job at GW I had 2-3 requests at once. Compared to having 10-20 drunk people yelling at you, it was a piece of cake. You just learn to prioritize, organize, and execute. Bartenders are notorious for entertaining and educating their guests about anything. They have to sell themselves, the product, and make the customer feel special at the same time. This is the foundation of customer service – helping a guest and fulfilling a need. They are able to create, think outside the box, and think on their feet. One could almost venture to say that Bartenders end up as “User Experience” (UX) system designers. Every night they prototype experiences for several groups of types of people, over and over and over. They always have a story – or 50. Bartenders support us all throughout our entire life. Graduations, Birthdays, or just those really crappy days. They are always there for us, and barely ever ask for a thank you. Most people work with them transactionally, and a few lucky of us get to experience the culture and develop relationships. And the people are amazing. I feel that people always want to put public service on a pedestal, but customer service should be a subcategory of that. Hospitality IS public service by definition. I am truly lucky to have worked with so many people in this space, and learned so much from them. I still am inspired by the space, and feel fortunate to have friends that still work in the industry. Hope this gives some perspective to those of you who have not been a barista, waiter, or bartender in your lifetime.